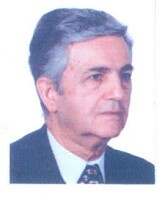 Yazdi - Professor Esmail Yazdi, D.D.S. Home Avicenna Preis Preisträger im Jahr: 2007 Yazdi - Professor Esmail Yazdi, D.D.S. 1. Lyons D.C., Yazdi,I. : “The Carcinogenic Potential of Opium Smokers Tongue” American Journal of Oral Medicine. 1969; 24 (2 & 3): 67-72. 7. Lyons D. C., Yazdi,I., Nowparast B., Mirlohi M.: “The Histopathologic Variations of The Chronic Dental Granuloma,” American Journal of Oral Medicine, 1970; 25,(2) 46-50. 10. Yazdi,I., Adl Tabatabai A.: “Glossodynia,” Abstract, American Academy of Oral Medicine (Newsletter),1973. 11. Yazdi,I., “Statement on the Present Situation in Education and Training for Dental Health Personnel” Word Health Organization Publication, Special Group Meeting on Dental Education, EM/SP, Grp. MTG. Dental Education,1973;(10). 12. Yazdi,I., “The Need for Dental Helath Surveys and for a Profile of Dental Health Manpower in the Countries of the Region (EMRO),” World Health Organization Publication, Special Group Meeting on Dental Education, EM/SP, Grp. MTG. Dental Education, 1973;(10). 13. Yazdi,I., Nowparast B.: “Extraosseous Adenomatoid Odontogenic Tumor,” Journal of Oral Surgery, Oral Medicine and Oral Pathology,1974; l. 37,(2),249. 18. Yazdi,I., “Juvenile, Aggressive, Ossifying Fibroma of Jaws,” Medical Journal of The Islamic Republic of Iran,1989; 3 & 4, 195-201. 20. Yazdi,I., Khalili, M.: “Oral Cancer : An Epidemiological Study of Squamous Cell Carcinoma in Iran (1972-1991)”, Iranian Journal of Medical Sciences, Vol. 18, Nos. 3 & 4, pp. 171-174, Dec. 1993. 21. Kalantar Motamedi M.H., Yazdi,I. : “Aneurysmal Bone Cyst of the Jaws : Analysis of 11 Cases”, Journal of Oral and Maxillofacial Surgery, Vol. 52, pp. 471-475, 1994. 22. Moghadam B.K.H., Yazdi,I., Gier, R.E. : “Massive Gingival Overgrowth Leading to the Diagnosis of Ehlers – Danlos Syndrome : Review of the Literature and Report of a Case”. Iranian Journal of Medical Sciences, Vol. 19, Nos. 3 & 4. P. 134-140, December, 1994. 24. Kalantar Motamedi, Mohammad Hosein, Kalantar Motamedi, Mohammad Hasan, Kalantar Motamedi, Mohammad Reza, Yazdi, Ismail. “Mandibular Osterosarcoma Mistaken for Pericoronal Infection: A Case Report”, Medical Journal of The Islamic Republic of Iran. Vol. 8, No. 4. P. 271-275. Feb. 1995. 25. Yazdi,I., Ghazi, M., Nikbeen, B.: “Flow Cytometric Analysis of Nuclear DNA Content in Scc of the Tongue”. Oral Oncology, 1995; Vol. IVB. 26. Kincaid, B., Moghadam, B., Yazdi,I., Barker, B.: “Immunohistochemical Analysis of Odontogenic Epithelial Tunors and Cysts”. J. Dental Research Special Issue. 1995; Abstracts. 27. Moghadam, B., Yazdi,I., Barker, B., Cobb, C.: “Immunohistochemical Analysis of Giant Cell Granulomas and Cherubism”. J. Dental Research Special Issue 1995; Abstracts. 28. Yazdi,I., Ghazi, M.: “Giant Cell Granulomas of the Jaws”, Acta Medical Iranica 1995; 33 (3,4), 88-90. 29. Moghadam, Behjat K.H., Yazdi,I., and Sadeghi, Esedin m.: “Distribution of P53 Oncogene Proteins in “Oral Malignant Lesions”. Acta Medica Iranica, 1995; 33, (3), 4. 74-78. 30. Mogadam, B.K.H., Yazdi,I., Baker., B.C. Cob and C.G. Cumminge : “Immunohistochemical Dentermination of Tumor – Associated Antigens in Ameloblastoma and Odontogenic Cysts” : Acta Medica Iranica. 1997; 35,(1), 2. 1-7. 32. Moghadam, B.K.H., Yazdi,I., Fatorehghi, H. : “Assessment of Tumor Markers in Benign, Dysplastic and Malignant Oral Mucosal Lesions”: Medical Journal of The Islamic Republic of Iran. 1998; 11(4), 289-294. 33. Moghadam, B.K.H., Yazadi,I., Cobb, C., Shults, R.E., Ferguson, B.L.,: “Immunohistochemical Determination of Tumor Associated Antigens in Oral Epithelial Dysplasia and Squamous Cell Carcinoma.” Archives of Iranian Medicine (AIM). Journal of the Academy of Medical Sciences of I.R.. IRAN, 1999; 2, (1), 14-23. 34. Yazdi,I., Khalili, M., Grading of Oral Cancer: “Comparison of Different Systems With Respect to lymph Node Metastasis in Tongue SCC.” Archives of Iranian Medicine (AIM). Journal of the Academy of Medical Sciences of I.R. IRAN, 1999; 2(2)87-92. 37. Niaki, E.A., Yazdi,I., and Zamani, A.: “The effects of PGE1 and Indomethacin on Orthodontic Tooth Movement in Rat”; Acta Medica Iranica, 1999; 37(4), 215-219. 38. Yazdi,I., Fakhraee, A.H.: “Congenital Fusion of Maxilla and Mandible (Bony Syngnathia) A Case report”; Archive of Iranian Medicine (AIM), Journal of the Academy of Medical Sciences of I.R. IRAN, 2000; 3,(3), 147-150. 40. Hakimi,R. Yazdi,I., :”Oral Mucosa Myiasis Caused by Oestrus Ovis; a case report”. Archives of Iranian Medicine (AIM), Journal of the Academy of Medical Sciences of I.R. IRAN.2002; 3, (5) 194-196. 43. Yazdi, I., Taghavi, N.:”The Assessment of AgNORs in Grading of Head and Neck Nonhodgkin’s Lymphoma”. Archives of Iranian Medicine (AIM), Journal of the Academy of Medical Sciences of I.R. IRAN. 2005; 8, (4). 44. Yazdi, I., Azizi M.H. :”Publication of the First Journal of Dentistry in Iran”. Archives of Iranian Medicine (AIM), Journal of the Academy of Medical Sciences of I.R. IRAN. 2007; 10, (1). 46. Sadri, D., Yazdi, I.: “Post radiation malignant fibrous histiocytoma of the maxillary sinus”. Archives of Iranian Medicine. 2007. In press.